Google has been offering a power searching class for some time now. Heck, I even have a power searching certificate. But now Google is offering an advanced version called Advanced Power Searching. 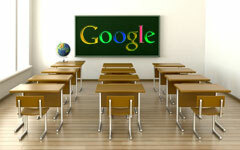 The course is also taught by Google's Dan Russell. I hope to enroll and take this course as well. Forum discussion at Google+ & Google Web Search Help. Previous story: My Google Rankings Dropped Due To Bounce Rate Attacks!